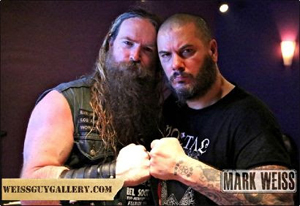 In New York City on May 10th, DOWN/ex-PANTERA vocalist Phil Anselmo joined BLACK LABEL SOCIETY onstage at the Best Buy Theater to jam on a cover of the PANTERA track, "I'm Broken". Renowned rock photographer Mark Weiss was in attendence at the rare event and has photos to prove it! A couple of photos are below, but you can check out more on his official Facebook Page right HERE. 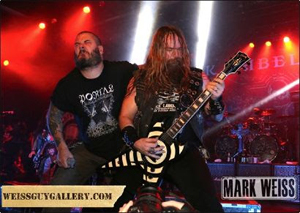 Rock Scene Magazine also contributed high quality video of the performance. check it out!